For many people, clothing is more than just an interest; it’s a life style. Great looking clothes in vibrant colors and sharp fitting is not only a pleasure for the one wearing it, it could also be a joy to lay your eyes upon. Therefore, its debatable if clothing could be a work of art? Take shirts for example. This time of the year, every wear you look you can se colorful shirts matched with the best accessories. Many shirt manufacture offers a summer collection where the shirts just as well could be perceived as art. And some shirts is definitely created as art rather than any garment you will actually wear. 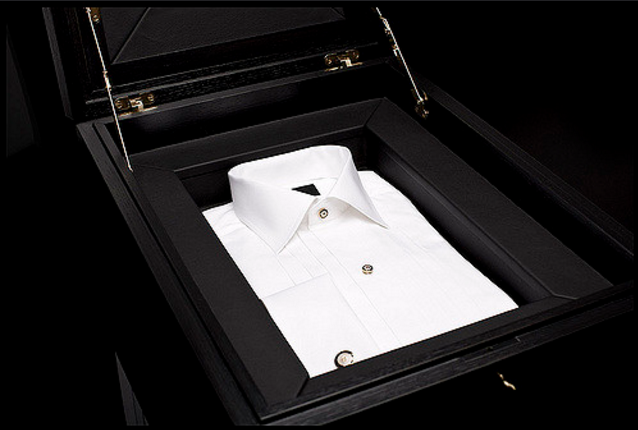 Eton Shirts is a Swedish shirt maker that a couple of years back launched the world famous “$40,000 Eton Diamond Shirt”. This shirt was made from the finest and rarest Egyptian cotton yarn and had seven colored diamonds that adorned the shirt studs and cufflinks. The shirt was valued to just north of $40,000 and was part of a PR world tour while Eton was promoting the opening of new flagship stores. Later the shirt was auctioned at Harrods in London with a price tag of $44,740 and the money from the sale was donated to charity. If you have the opinion that anything can be art, this shirt could absolutely be called a work of art. The diamonds on the chest and the cuff links are one thing – but for anyone who sees beauty in great yarn this shirt had it all. Perfected into to every single stitch and a PR stunt that since have put Eton top of mind when you think of exclusive shirt makers. The 2016 summer collection of Eton is not as expensive as the diamond shirt, but it certainly has a couple of shirts that could be called art. 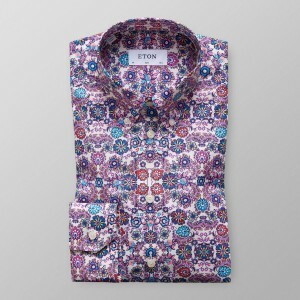 The multi color floral shirt for example has a bold print ideal for both modern office and a night out. The print is available in all of Eton’s body fits making it perfect for just about anyone that want to look handsome during the summer. Or just as well, wear a frickin work of art!